Verdmont homes for sale are located in Simpsonville, just off of Neely Ferry Road and have easy access to the I-385. This lovely Simpsonville subdivision has a number picnic areas and playgrounds for residents who enjoy being outdoors. 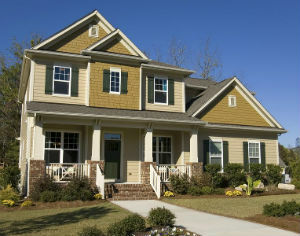 Homes here are spacious and can often be seen with welcoming front porches and well-kept yards. Additionally, the newer properties are beautifully designed, ideal for any family. Verdmont is a great community that many people are proud to call home. Interested in learning more about what Verdmont homes have to offer? Read more about community amenities or check out some of the more recently homes below. Verdmont homes are spacious and come in a range of sizes and styles. Or, for those looking to buy a new construction home in the Simpsonville area, this subdivision currently has a number of undeveloped home sites still available. As you drive along the quiet roads of this community you’ll notice that many homes have side panel exteriors and are situated on large lots. This community was designed for residents who enjoy being outdoors and has a number of other highly desirable features that capture the eye of homebuyers interested in this area. Verdmont homes are built around a twelve acres of park space. Residents have access to a community pool and club house for entertaining. Other community amenities include walking paths, water features and maintained play areas for kids. If you're thinking about buying a home in Vermont and would like more information please call us at (864) 520-1000 or contact RE/MAX Moves today! We'd be happy to help answer questions and you know more about recent listings in this area.